Technology has taught us how to save energy. But for utilities like the Toronto Hydro-Electric System, changing consumer behaviour is still a big challenge. Toronto Hydro, owns and operates an electricity distribution system that delivers electricity to approximately 709,000 customers located in the City of Toronto. It is the largest municipal electricity distribution company in Canada and distributes approximately 18% of the electricity consumed in Ontario. In 2012, the organization had a goal of reducing energy consumption by 49 MW. But to reach this goal they needed the help of their residential and small business customers. Context Creative developed a compelling education campaign to encourage consumers to take advantage of Toronto Hydro incentive programs that would help them to save money and manage their energy consumption more efficiently. 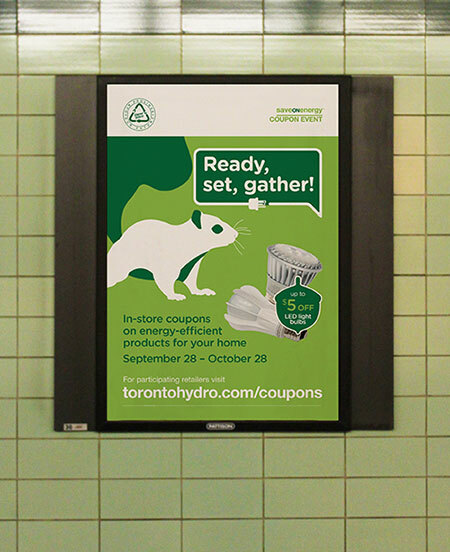 The brand and communications design firm used playful illustrations of urban animals with amusing catch phrases to promote key messages about Peaksaver PLUS® and other Toronto Hydro energy saving programs. The Urban Animals campaign generated about 6 million impressions, through marketing, advertising and related public relations tactics. With the help of the campaign, Toronto Hydro was also able to exceed its 2012 goal of a 49 MW reduction in energy consumption to achieve a reduction of 53.2 MW, or 108.6% of its original goal for that year. Toronto Hydro tracks its Peaksaver PLUS® program and as of December 31, 2012 they had approx. 30,000 sign- ups. As part of that campaign, a recent Peaksaver PLUS® direct mail flight was dropped to 60,000 customers. 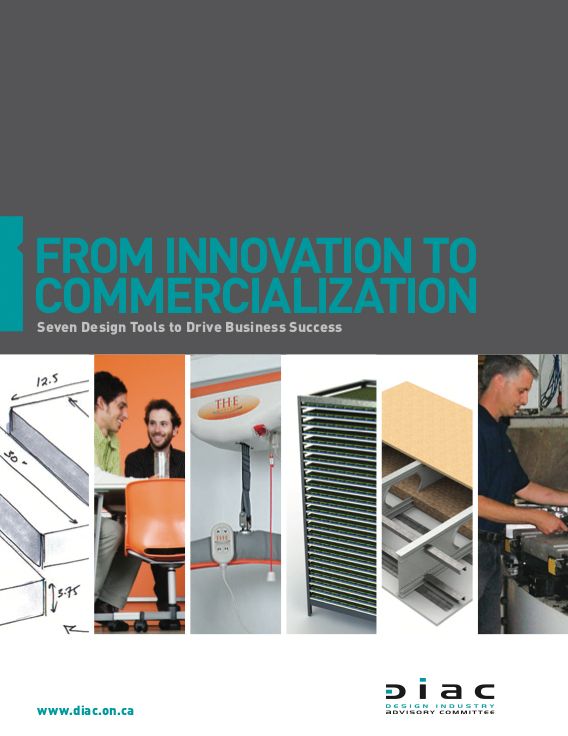 Within four weeks, they had approximately 16% confirmed registrations, an extremely high response for direct mail. And based on a 15-minute phone survey to gauge residential customers’ views of Toronto Hydro conducted by The Strategic Counsel in December 2012, the utility’s overall customer satisfaction score increased by 3 points over the previous year. Toronto Hydro was able to adapt the creative concept of the campaign for use in additional education materials including and electronic bulletin and a newsletter for City Councillors to share with their constituents. Considering both audience response and client enthusiasm, and because the program had exceeded its goals in 2012, the decision was made to extend the Urban Animals campaign through 2013. It has also inspired and provided a model for a more innovative creative approach to marketing conservation programs to business customers.